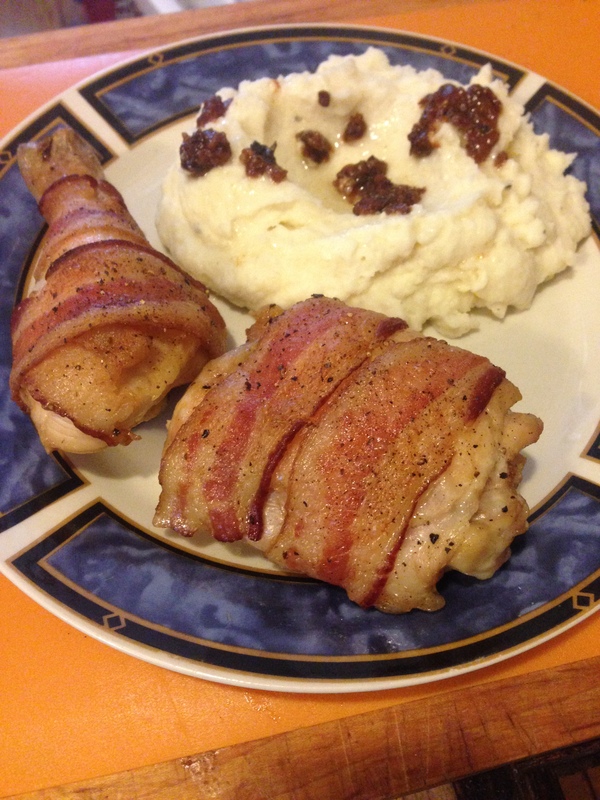 This is exactly what it sounds like it is, chicken wrapped in bacon. It’s super easy and tasty, and it has always been very well received by the family. When you bake it, the bacon crisps and fuses to the chicken. That means that when you bite into it, the bacon is easy to bite through and it doesn’t all slide off in one go. Season the chicken with salt and pepper, going just a tad lighter on the salt than you normally would with plain chicken. 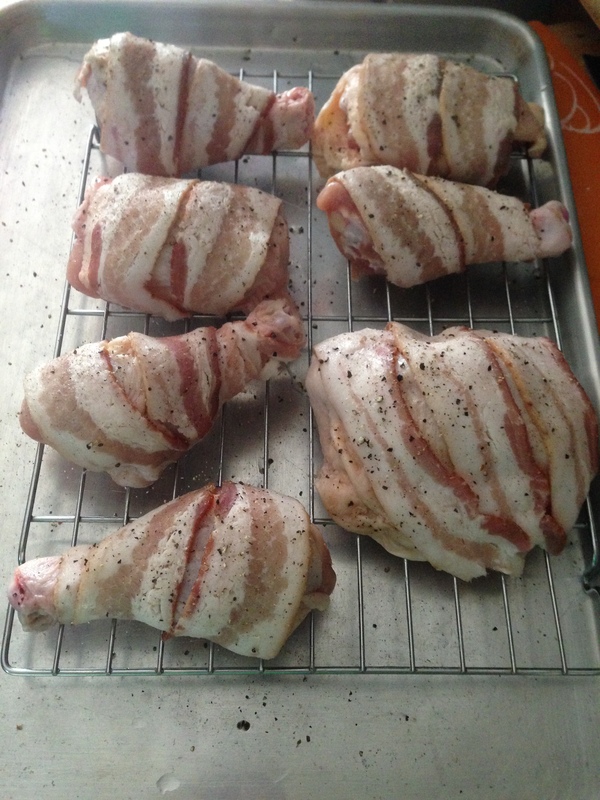 Wrap each piece of chicken with one slice of bacon, trying to get the ends of the slice to end up underneath. Season with just a little sage and a bit more pepper once the chicken is wrapped. Place a wire cooling rack on a baking sheet, and place the bacon-wrapped chicken on the rack, spacing the pieces out evenly. Bake at 350º for one hour.